Barbie فلمیں Characters. 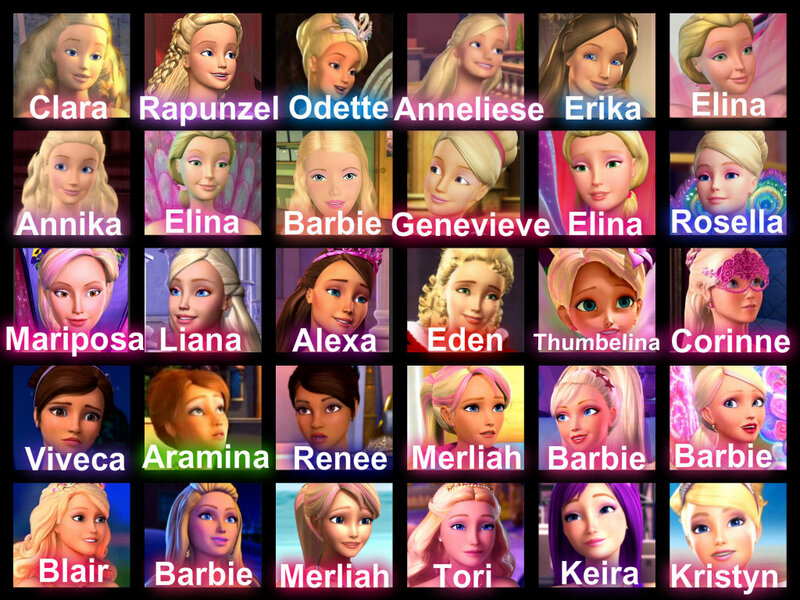 All of Barbie فلمیں Characters from 2001-2013. HD Wallpaper and background images in the Barbie فلمیں club tagged: barbie movie characters. Nice! I like how their names are in their signature color. I like that you wrote Thumbelina with smaller letters. It's really good. @MelodyLaurel ; Yes, I make this!! @44arumem ; You're welcome!! I'm so glad you like this picture!!! !